Cami is a Romanian woman that comes to our church who is an absolute wizard in the kitchen. 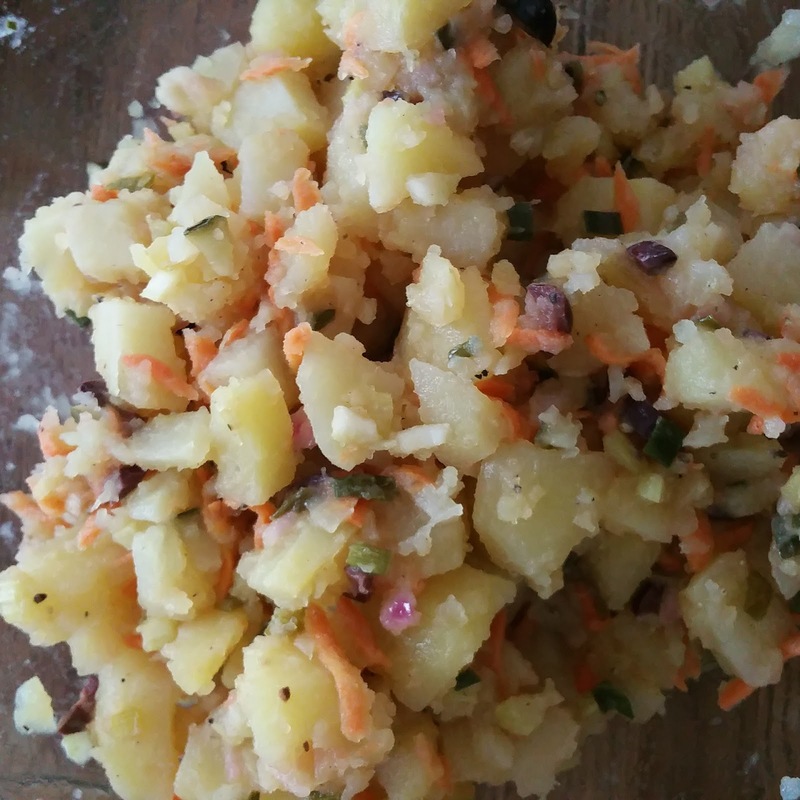 She makes this delicious potato salad for many of our Lenten Sunday coffee hours. She gave me a vague recipe which I have attempted to recreate for you! Boil peeled and cubed potato until they are soft. Shred two carrots and dice one pickle, two stalks of celery, a couple of green onions, a quarter to half of a red onion, and some kalamata olives. Mix a dressing of red wine vinegar, oil, salt, pepper, and Dijon mustard. Combine vegetables, drained potatoes, and dressing in a large bowl. Chill and enjoy! Sounds yum! Looks good too! That looks delicious, thank you for posting it.